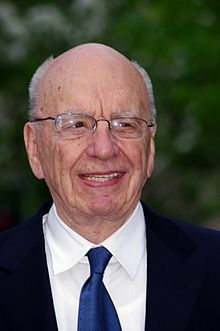 Shareholders have filed a lawsuit against the News Corp invoking large-scale governance failure. The move has been made as an effect to the News of The World scandal regarding phone hacking, which caused it to shut down. Associated Press announces that the lawsuit was filed on Friday in Delaware Chancery Court. A group of shareholders have decided to take the matter into their own hands and set an example on what the limits in media are, when you are hunting down everything for the sake of the ratings. After the scandal surrounding the tabloid New of The World regarding large-scale phone hacking erupted, numerous celebrities and non-celebrities have asked for the resigning of the editor-in-chief, Rebekah Brooks, and the shutting down of the publication. Some of the common people asking for measures to be taken are parents and relatives of victims whose phones were subject to hacking. The CEO, Rupert Murdoch has tried to keep Brooks in place, stating that she was not in charge of the publication anymore. Now, the same Rupert Murdoch is charged with serious accusations. It’s easy to imagine what happened with the value of News Corp shares on the stock market during this time. On Monday afternoon, the shares dropped 7.5 percent, to 15.49 dollars. Since last month, the shares are down 12 percent. On Monday, News Corp. refused to comment on the current matters.